No stings here, just nothing but smiles with these bumble bees. Who said bees and polka dots couldn't go together? 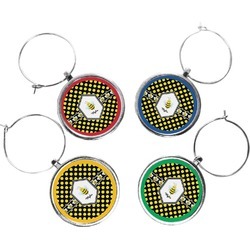 The traditional yellow and black bumble bee has been jazzed up with some fun and funky polka dots. 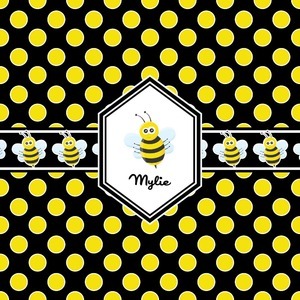 We have given our bees a fun place to play on a black background with yellow polka dots . A wide white trimmed black ribbon is the background for a conga line of bees. A white decorative label that is trimmed in double rows of black will provide the focal point for your little bumble bee's name.